Despite the fact that many people call themselves content curator, still, there is not and will never be a final definition for the content curation. This vagueness in the concept has been one of the reasons that last year, Michael Bhaskar published his book titled Curation. 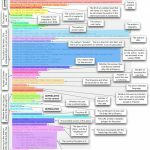 Although many people expect to read about curation tools and technics, he has devoted a major part of his book to the philosophy behind content curation. 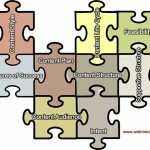 Here I have collected some of the most important points of his definition of content curation. 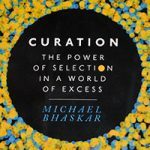 In Bhaskar’s words, curation is where the acts of selecting and arranging add value. .
[Content curation] is not based on more. It’s based on less. 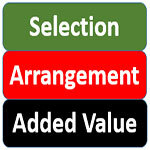 The value you add isn’t just about adding. It’s about excluding what isn’t important or valuable. A better indicator of the value to users is the amount of content you exclude. Curation is the interface, the necessary intermediary, for the modern consumer economy; a kind of membrane or purposeful filter that balances our needs and wants against great accumulation of stuff. At its broadest, curation is a way of managing abundance. Bhaskar stresses the point that most of the times, the content curator is not an official position in the organizational chart. In fact, it’s more often an emergent property of the organization. He believes that the curation concept should be considered more seriously as a fundamental value-creating activity in the organizations. Despite the fact that most of the times, there’s not a straight path from the curated content to the financial outcomes.